All who come , and especially members of the local community are made welcome and can find and expect friendship, respect and encouragement. Development of body , mind and spirit in a safe and supportive environment. Creativity and imagination are stimulated and facilitated. Care is taken to cater for people of all ages, gender, faith, culture, sexual orientation. 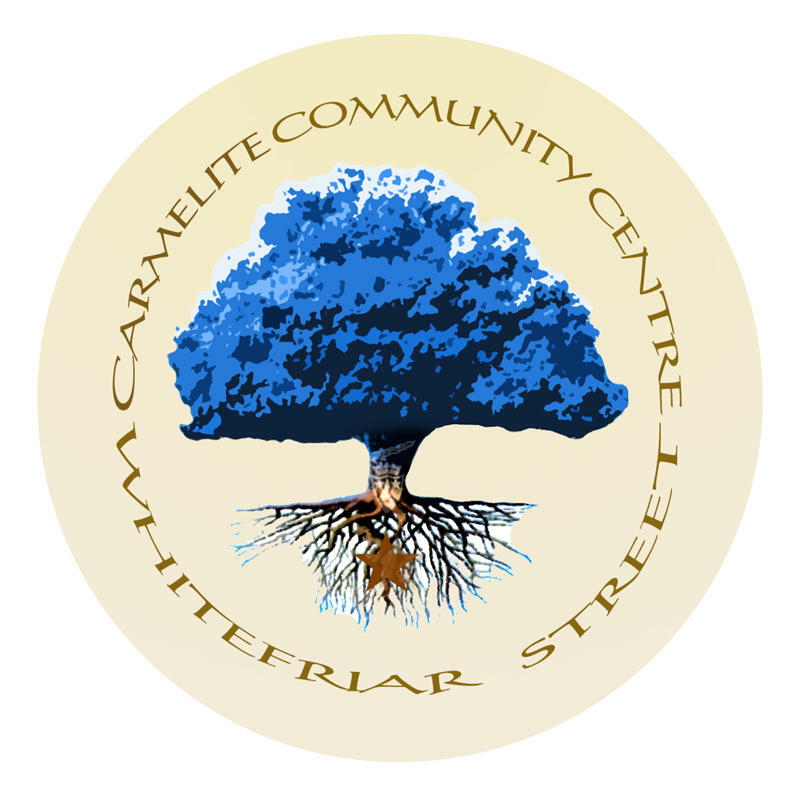 A very important part of the work at Whitefriar Street is the Carmelite Community Centre. Part of the old complex adjoining the primary school was destroyed by a malicious fire in 1995. This old building housed classrooms and a hall which saw many Feis competitions take place over the years as well as so many other much needed services. When the building was destroyed a huge void was left in the area. Rather than rebuild immediately, the Carmelite Community took a very careful look at the needs of the area and at what sort of services they could offer the local people. They also consulted widely with those who would benefit from a new building and found out what exactly they wanted and also what sort of rooms and facilities they would like to see in the building. The building also moved to a new part of the site so that it could have an entrance onto Aungier Street and bring it closer to the heart of the existing buildings. In May 1999, President McAleese officially opened the new centre to much acclaim. The new centre has a full-time crèche with trained staff and both an indoor and outdoor play area. There is also a small “coffee dock” for those doing courses and availing of the centre or for those who may be passing by. On this large, bright ground floor there are also two other purpose-built rooms. One is known as the “Golden Wonders” room because it is here that the senior citizens meet during the week for recreation. The other room is an art room complete with all the necessary apparatus for art and artists. On the first floor there is a gymnasium where various groups play indoor soccer, practice martial arts, or use for other entertainments. On this floor too are counselling rooms and offices. The top floor has a “Quiet Room” which can be used for meditation. There are also counselling and therapy rooms on this floor. Everything was built with the users of the building in mind and many of the rooms reflect that in their layout and equipment. Bingo takes place in the centre two nights of the week (Tuesday and Sunday). Courses, such as First Aid and Weight Watchers, are run in the centre throughout the year and are open to all comers. Some of the facilities are rented to groups seeking a meeting room in the area, though priority of course goes to local groups. Within the complex is an area given over to the traditional “Penny Dinners” . The old night shelter at the rear is soon to become a a Montessori unit offering comprehensive and state of the art day care facilities . A homework club also runs from the centre. When the new centre was being built a new logo was sought which would represent the work of the centre. The basic logo consists of a tree and the Carmelite crest . The lower half of the Carmelite crest is used and depicts a white star on a brown background. This represents the fact that the centre has a Carmelite origin which goes back nearly two centuries in this particular site. Out of the crest grows a tree with many branches. The branches show that the centre has many facets and reaches into many lives and many parts of the local community. The branches are laden with leaves which represents the individuals associated with the centre and who benefit so much from it. One the left, the leaves are green and fresh looking – representing the youth of the area – while on the right the leaves are autumn coloured – representing the senior citizens who also benefit from the services here. Ther e is a gradual moving from youth to old age in the tree showing that all are on in the centre. In 2010 the symbol was looked at once more and it was decided an update would better reflect the settling of roots, growing, and blossoming of the tree and community since the 1990’s. The carmelite crest is visible on the bark and the carmelite star originally used in the old symbol was re-incorporated and still forms part of the root , representing the carmelite’s and the community centre’s place within this parish and community. The original symbol still proudly hangs in the reception area of the community centre .